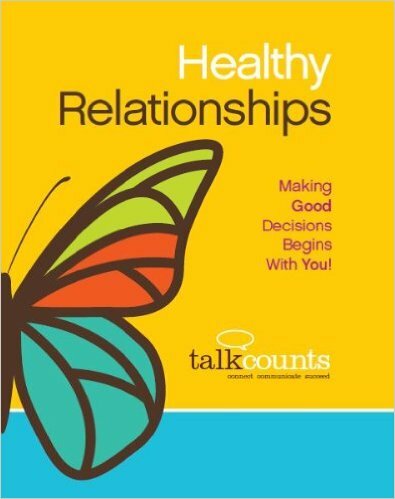 In the groundbreaking self-help manual called Healthy Relationships, the authors — renowned specialists in clinical psychology and special education — put forth an easy-to-follow and common sense guide that literally has the power to change lives. This is a workbook-based, self-guided introduction to a remarkable process — the discovery and exploration of your inner worth and how you can nurture its growth while maintaining close relationships. In the section entitled “Understanding Your Relationship With Yourself,” you will learn that by looking carefully in your inner “mirror” on a regular basis, you will come to appreciate everything you bring to all your relationships — at home, at work, and elsewhere. In another segment, communication is revealed as an essential element in keeping lines open with others, and expressing how you truly feel. There’s even a handy checklist that facilitates communication between you and whomever you choose, making sure the conversation stays honest and, above all, constructive. Such sage and timely advice will keep you from jumping into a relationship too quickly — and too deeply. The authors go on to carefully delineate between what constitutes an “acquaintance” and a “friend,” so you can avoid costly misunderstandings down the road. In a key section entitled “Knowing What You Want in Friendships,” you’ll be able to sort through characteristics and attributes you may find appealing in others. Again, there’s a simple checklist with which you can create a profile of the kind of person you might best be paired with as a friend. Should they be “outgoing, with high energy,” “friendly and energetic,” or “shy and reserved?” Answering questions like these up front can mean the difference between success and failure in a budding friendship. Finally, creating Shared Goals can help lay the groundwork for communicating needs, wants, fears, and other aspects of your vision of a shared future to your partner, significant other, or just plain friend. This is the foundation upon which you can most effectively build toward tomorrow. The last section is an exhaustive and invaluable guide to avoiding unhealthy relationships — which, in many cases, can be worth the price of the workbook alone. The Five Deal Breakers will tell you explicitly the kinds of behavior and traits that can raise both “pink flags,” and “red flags” to warn against beginning or continuing a flawed or toxic relationship. Five stars to Healthy Relationships. This could very well be the most important book you’ll ever read. Reblogged this on iepsurvival for parents and teachers who work with special education students.